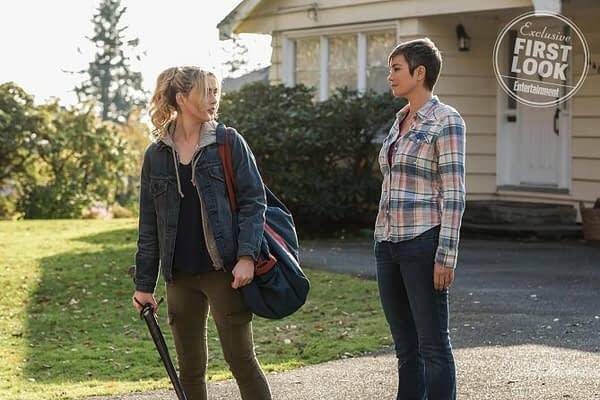 The tenth episode of the current season is also serving as a backdoor pilot for the planned spinoff series The Wayward Sisters, which would focus on Sheriff Jody Mills (Kim Rhodes) and a group of troubled young women, all orphaned by supernatural tragedy. Under Sheriff Mills’s training and protection, the women emerge as a supreme monster-fighting force. Supernatural co-showrunner Andrew Dabb and Robert Berens wrote the script; with Dabb, Berens, co-showrunner Robert Singer and Phil Sgriccia executive producing. 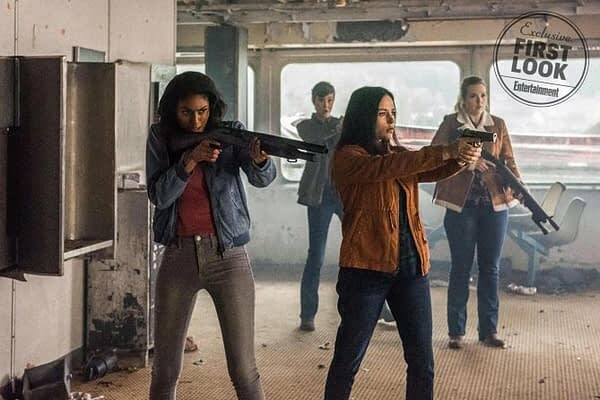 ‘Wayward Sisters’ sees Sheriff Mills, Claire Novak (Kathryn Love Newton), Alex (Kathleen Ramdeen), Kaia (Yadira Guevara-Prip), Donna (Briana Buckmaster) and Patience (Clark Backo) attempting to rescue horror hunters Dean (Jensen Ackles) and Sam Winchester (Jared Padalecki) from The Bad Place. 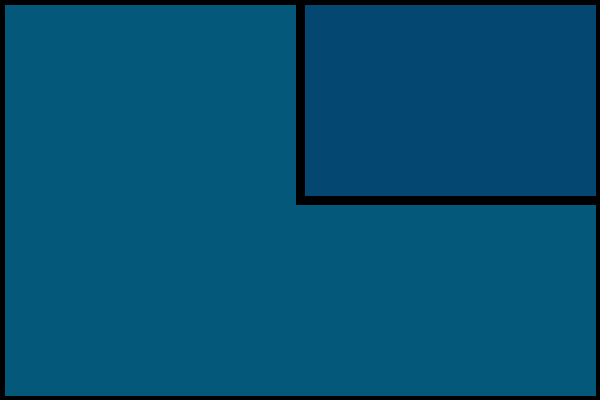 Unlike what happened with Bloodlines, the first attempt at a Supernatural spinoff that introduced an entirely new cast of characters that made it difficult for viewers to emotionally connect with, The Wayward Sisters will be a mix of established characters along with new ones introduced both during the backdoor pilot and series. 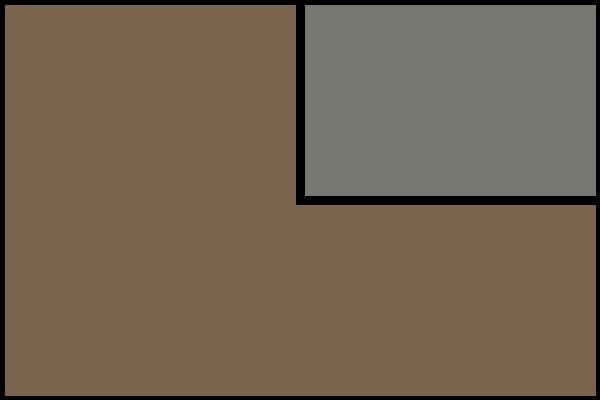 The series has two existing Supernatural characters, orphan Claire and runaway Alex, joining Sheriff Mills’s colleague (and sometimes partner) Donna. But it’s Rhodes’s Sheriff Mills who helps bridge the two shows: she appeared in 12 episodes of Supernatural before this season, with her character introduced during the show’s fifth season. A campaign for The Wayward Sisters began over two years ago with a name created by the fans that’s based on Kansas’s Carry On Wayward Son, the song that opens every Supernatural finale. The show’s fanbase wasn’t against a spinoff series, but felt that it would need to be built around Supernatural mainstays and that’s what separates The Wayward Sisters from the disastrous Bloodlines. 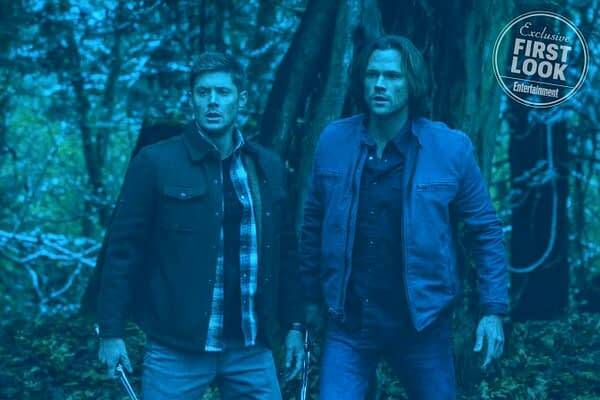 The CW has long viewed Supernatural as ripe with potential for spinoff series and specials, but it’s a matter of finding the right project and the right time. 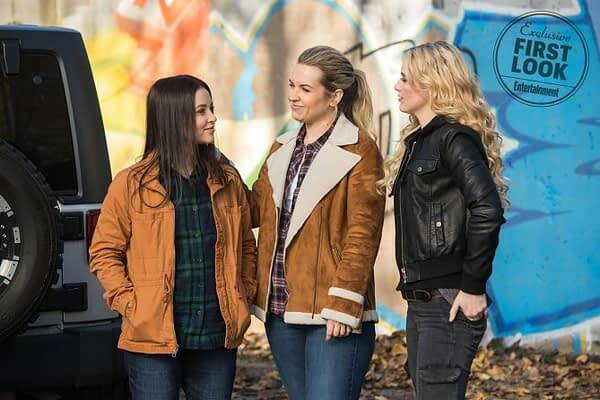 Supernatural returns with ‘Wayward Sisters’ on Thursday, January 18th at 8 p.m. ET/7 p.m. CT on The CW.